Every week, the Bureau of Development Services publishes lists of Early Assistance applications, Land Use Reviews and Building Permits processed in the previous week. We publish the highlights. This post covers October 9th to October 15th, 2017. Project is intended as affordable workforce multi-family residential development. This project includes 3,500 square feet of resident service/community space and 161 apartment units. Current code: Partial demolition of existing structure, reducing it to south half block, and creating a mixed-use apartment project to the north half. Retail, lobby, amenity area proposed on ground floor. Parking will be below grade. Alterations and improvements to the Artists Reperatory Theatre within the south half block will be under a separate review/permit approval. 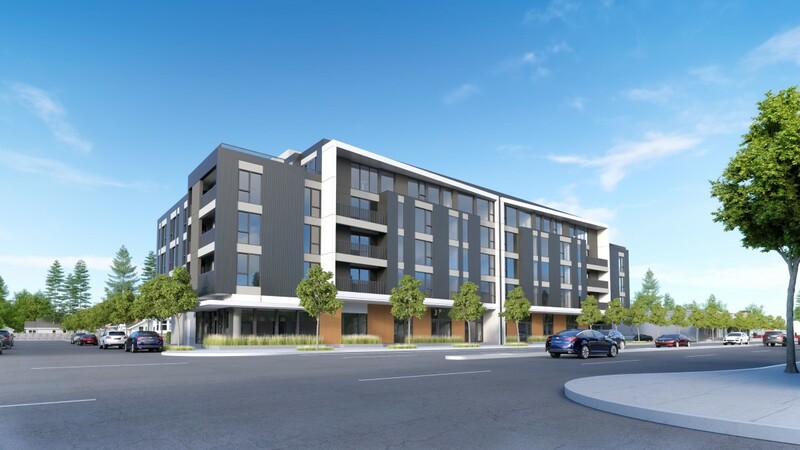 Proposal is to construct two new seven story mixed use buildings with ground floor retail, parking at the two lowest levels and housing above in Central City–South Waterfront subdistrict. New construction of 8500sf single story building with mezzanine. New core and shell building for up to 9 restaurant tenants on property. Site work to include new infrastructure and parking lot repairs to accommodate 16 food carts seating areas, and required parking separate electrical, mechanical, and plumbing permits required. 5 over one Type IIIA over Type IA – New 6 story apartment building with 124 units, 1 level below grade parking, Retail on ground floor. STR 01 – Podium work will include the Basement and concrete structure for the first three levels of the building (scope of work terminates at top of level 3 slab). This will include only Type IA (concrete) construction of the structure. The podium permit work includes excavation, underground and under-slab utilities, concrete, masonry and steel elements of the basement and podium structure. The St Francis Park Apartments, currently under construction in the Central Eastside. Last December the Portland Housing Bureau delivered its second annual State of Housing Report to the City Council. The report noted the many challenges facing Portland, including that in 2016 “data indicates that housing affordability in Portland in the last year has gotten worse, an issue that is disproportionately impacting low-income residents, Communities of Color, seniors, and individuals with disabilities”. Nonetheless, the report also looked at what the Bureau is doing to address these issues, including: gaining voter-approval of a $258 million Affordable Housing Bond; passage of an Inclusionary Zoning Ordinance; increasing urban renewal funding dedicated to affordable rental housing; and dedicating short-term rental revenue tax to affordable rental housing. The report listed nearly 1,900 affordable housing units in the production pipeline, split between 33 developments. Next Portland is re-publishing the entire list, along with images and information about the architect / developer where we have it. Some buildings on the list are exclusively reserved for lower income people, while others include a mix of market rate units and subsidized affordable units. Figures for levels of affordability, expressed as number of units reserved for individuals or families at a percentage of Area Median Income (AMI), are taken from the Housing Bureau Report. Buildings that include market units are only receiving city funding towards the affordable units. Note that this list does not contain any buildings which will be required to provide affordable housing as part of the newly passed Inclusionary Zoning Ordinance (which came into effect this month); any future projects funded through the voter approved affordable housing bond; any developments that are funded without the help of the Portland Housing Bureau; or any developments that have been allocated funding since the publication of the report late last year. The Design Commission has approved a mixed use building by SERA Architects at NW 17th and Kearney. The 6 story building for Holland Partner Group will contain 124 apartments (including 9 ground floor units), with 3,200 sq ft of retail space at the ground level. 68 parking stalls are proposed in one level of below grade parking, while long term storage for 139 bicycles will be provided. At the 6th floor a club room and roof terrace deck is proposed. Under the terms of a property tax exemption approved by the City Council in August, 20% of the project’s unit will be affordable to those earning less than 80 percent of area median family income. SERA Architects have gone before the Design Commission to receive Design Advice on a new project at NW 17th and Kearney. The 6 story building for Holland Partner Group would contain 120 apartments (including 9 ground floor units), with 2,800 sq ft of retail space at the ground level. 68 parking stalls are proposed in one level of below grade parking. At the 6th floor a club room and roof terrace deck is proposed. Subject to a property tax exemption being approved by the City Council, 20% of the project’s unit will be affordable to those earning less than 80 percent of area median family income. 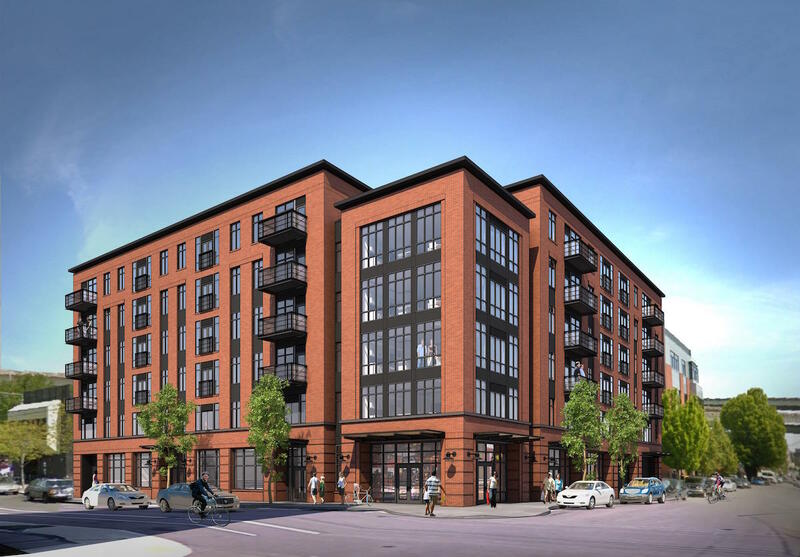 Type III Design Review for a new 6-8 story mixed use building with 140-190 residential units, ground floor retail and below grade parking – approximately 70 spaces. Proposal is to construct a new four story mixed used building with ground floor retail and three levels of residential apartments. On-site parking of 15 stalls will be included. New 6 story multi use 190 unit apartment building, retail and living on the 1st floor, 100 parking spaces provided. 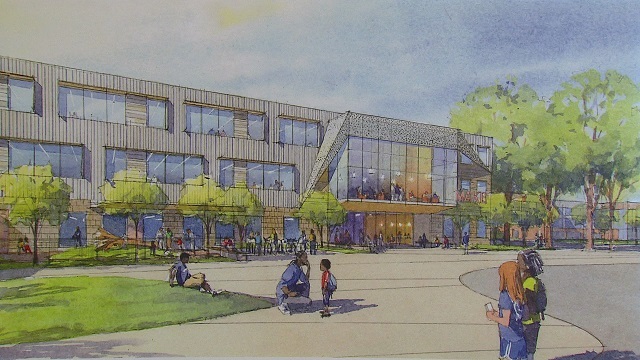 Master planning for modernization and addition of the existing Benson Polytech High School Campus. New 6 story apartment bldg. w/ 88 units. PT podium with 5 stories wood frame construction above w/ on grade parking. New Construction – three new units on one property. 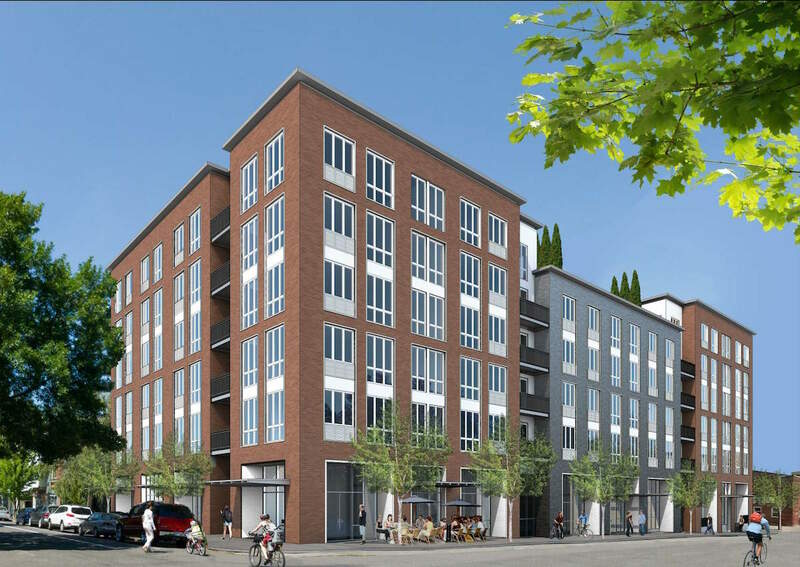 New 4-story wood-framed multi-unit housing with 68 units and a community space. Working with the PHB. Pre-Application Conference to discuss a possibleType III Design Review or possible Community Design Standards Plancheck Review (depending upon the size of the building) for a new mixed-use multi-dwelling residential building. The applicant requests development-related information and the assigned Planner to compare the Design Review and Community Standards tracks. The proposed new development may range from 55 to 120 feet in height with a range of 4:1 to 7:1 FAR. Parking will be accommodated within the building. Number of spaces and configuration has not been determined. The existing commercial building will be demolished. Pre-Application Conference to discuss a Type III Design Review for a new 6-8 story mixed use building with 140-190 residential units, ground floor retail and below grade parking – approximately 70 spaces. Type III Conditional Use Review to construct a new parish hall and make alterations to existing church and church rectory. New 4 story 30 unit apartment building with (1) retail space on ground floor. Site improvements and flow-through planter. 75% plans for 6 story medical research building , 2 levels of below grade parking 1st floor retail. New 3 story (28 unit) modular apartment building; see comments and project file for scope of modular reviewed by state. New 8 story hotel with 243 guestrooms, 104 parking stalls above grade, ground floor retail, indoor pool. Slab-on-grade, 3 levels of PT concrete floor system and 4 levels of non-combustible steel stud/composite joists.